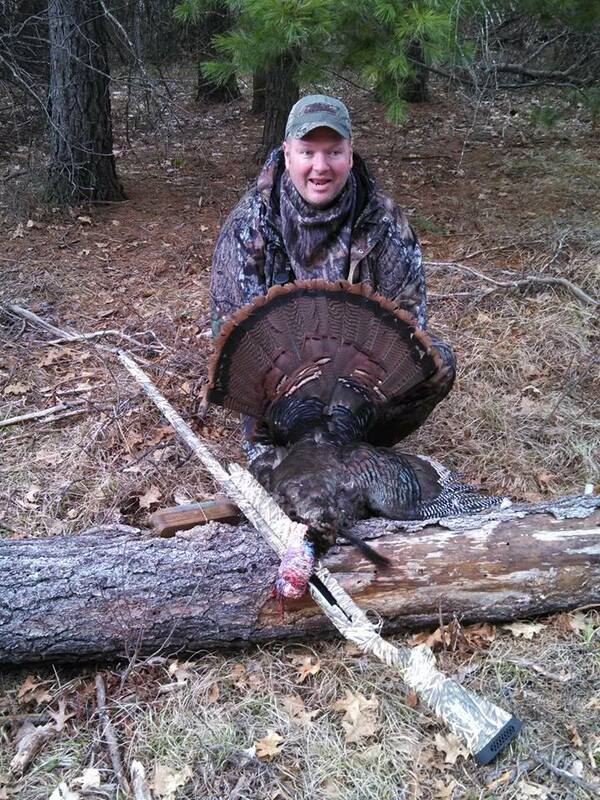 Michigan’s spring turkey season begins in the later part of April and runs through the end of May. With that generous length of time, weather can provide an inch of snow on the opener, to perfect morel mushroom picking halfway through and the need to crank up the air conditioner as the seasons draws to a close. When in Rome… Better yet, when hunting in Michigan…As a guide for spring turkey hunting, I find it resembles hanging around with a new ‘best friend’…waking up a couple hours before daybreak, eating breakfast and discussing strategy over a cup of coffee. Once our gear is loaded our road trip lasts no more than ten minutes. I recall an early season hunt with a client last year. We did a quick review while donning our gear at the pickup’s tailgate, all while a nearby (vocal) gobbler distracted our attention. We both smiled as our safety precautions were reviewed for a second time. The gobbler kept up his “on-roost” pace until we found our perfect set up. Unfortunately, despite his positive responses to my soft-talk, we both knew he was long gone since his fly-down. We discussed hunting from a portable blind to sit and wait between roost and destination, but agreed that opportunity was not preferred. More importantly, we would rather plug into their roost-to-fly-down activities and work the gobbler from his harem. So, an afternoon of fishing a nearby lake was planned and proved our luck had not changed. We managed to spare some daylight for evening turkey scouting. With nicknames for our different hunt spots, it was pretty neat to see our hunter-client take on those names like he hunted the area for years. Day two our plans remained at the same location as “we’re in this to win” was evident. We set up on the opposite side of same wooded hillside…probably 400 yards from yesterday’s set up. Soft-talk proved to be verbal judo versus a lure in our direction. We decided to get a look at the other side of the hill. When we reached the top we saw the gobbler with his harem at the bottom. We were caught by surprise to see two mushroom pickers about 150 yards from the turkeys. The pickers spotted us and headed our way. They apologized for intruding. We quipped back to say they weren’t harming our luck a bit. One picker said they were walking up the hill and noticed the gobbler was strutting down the hill to a small flock of hens. He thought the hens would have been roosted down hill since there was no time for their decent. That evening we went back to the same spot to reassess our strategy. We split up to listen for tree talk from each vantage point. I walked down an old logging road that skirted that one side of the hill, stopping periodically to listen for that gobble. All of the sudden I heard him gobble up near the top of the hill approximately 300 yards away. I thought to myself, “I’ll bet he roosts in that same cluster of large oaks each night. I decided to plant myself next to a stump and listen some more. Then, there it was…the soft sound of tree talk. I looked up in the skyline and counted at least three other turkeys roosted within 75 yards. I surmised they were all hens. I sat until it was pitch-dark and then snuck out of the area and back to the vehicle. We were both eager to report on “the gobbler”. I explained a new strategy had been drafted for tomorrow morning and it involved mingling with “his harem”.